Cherry Pie Designs is located in Somersby on the Central Coast of NSW. Situated just off the M1 freeway near the Gosford Reptile Park and very near to The Somersby Falls picnic area. I stock and specialize in, American Reproduction Fabrics and old world pretty florals. I stock 100% cotton Batting, Books, EPP requirements and notions….as well as my own Pattern Designs for Quilts, Bags and Needle books. I have been quilting since 1994 and began “Cherry Pie Designs” 10 years later in 2004. My designs have appeared in numerous Australian Quilting Magazines and my love of not just quilting but working with others who enjoy this past time, has led to a very busy life of retail, design and travel. My designs are also available for wholesale. I am available for “Trunk Shows” and workshops at your sewing group or if you are planning a retreat I am happy to come along as your “Shop” for a day or your tutor. My schedule of classes and Events are located on the website. 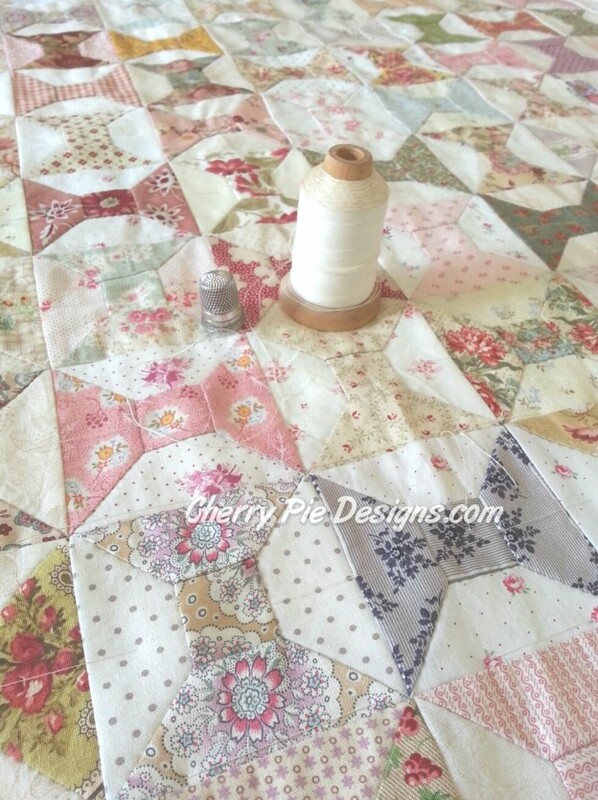 “Cherry Pie Designs” little quilt shop is part of my home situated in a rural setting. “Cherry Pie Designs is open by appointment only. So next time you are looking to visit the Central Coast, pop in and visit. or Click Here to email .